The District provides late buses for Columbia High School and Goff Middle School students that stay after school on Tuesdays, Wednesdays and Thursdays for clubs, sports and other school activities. The late bus runs depart Columbia High School at 3:47 p.m. and shuttle to Goff Middle School. The late buses depart Goff at 4:05 p.m.
Students are required to obtain a signed pass from the coach, teacher or club advisor to ride a late bus. 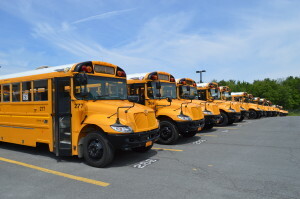 The district reserves the right to forbid access to a late school bus to students without a pass. Since late bus runs cover the entire District, some students will be required to walk home from the nearest cross street on the route.